OXFORD, Maine — Churchill Downs Inc., operator of the Kentucky Derby, on Wednesday said it has completed its purchase of Oxford Casino for $160 million in cash. 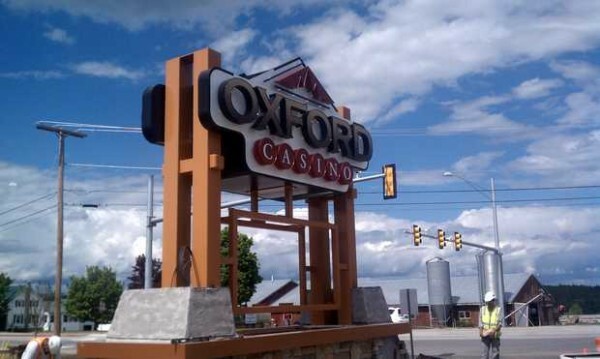 The Oxford Casino opened in June 2012 and has 790 slot machines and 22 table games. It employs 420 people. The casino, the state’s second, was owned by Black Bear Realty Co. LLC. The Maine Gambling Control Board approved the acquisition during a meeting Tuesday night, paving the way for Churchill Downs to complete its purchase of the Maine casino. When the deal first was announced in March, Churchill Downs anticipated closing the deal during the fourth quarter of 2013. Churchill Downs doesn’t plan changes that would affect the casino’s management or employees, according to Courtney Yopp Norris, a company spokeswoman. In regard to future investments in the casino, Norris said it was too early to say what the company has planned. “Now that we actually have the facility, we’ll start making decisions about how to move forward with capital investments for the property, but I can’t speak to any specifics,” she told the Bangor Daily News on Thursday. CDI is a public company traded on the Nasdaq under CHDN. It owns Churchill Downs Racetrack, home of the Kentucky Derby. It also owns casino and racetrack operations in Florida, Illinois, Louisiana and Mississippi.